I first met Father Phil when he came to give Midnight Mass in Utengule-Usangu in 1980. He arrived in the village on his pikipiki (motorbike) in the late afternoon of Christmas Eve, and I immediately went off to find him. Some months earlier I’d been told to look out for this geologist-turned-botanist and White Father, and this was my first chance to meet him. It was also the first time another white man had visited Utengule since I’d been there. To my pleasant surprise I found myself greeting an Englishman, a gaunt northerner (a “tallish, thin, frail-looking man, with circular spectacles”) whose voice and humour reminded me of home. We spent about three hours lost in lively discussion before the local Catechist and the Village Secretary both came to tell him that the congregation was waiting, and that Mass should begin. But it was far too early to start (about two and half hours before midnight), and Padre Philip tried to resist their pleas. Finally he gave in, threatening not to come to give “Midnight” Mass again. I’ll never forget sitting at the back of Utengule’s small brick-built Roman Catholic church hearing him welcome the congregation in Swahili with a thick northern accent. I struggled through the rest of the service – the first Mass I’d ever been to – trying to conceal a broad grin. It was a wet and windy night and he berated the villagers for not turning out in greater numbers – most of those present were women and children. But afterwards he joined them singing and dancing in the mud outside the church, before we slipped off for yet another cup of tea in the small bare room that was reserved for visiting priests. We resumed our earlier conversation by the flickering light of a small kerosene lamp, until eventually he asked the Christmas revellers to stop (they’d been singing and dancing for about an hour), and retired for the night. I went back to my mud hut and after midnight began writing a letter that included details of our meeting, which I described as “my Christmas present”. Father Phil gave me a potted account of his life, including his academic and religious conversions. If he could find time he’d arrange for me to come and stay in the White Fathers’ mission at Irambo (in Imbwila to the south-west of Usangu), and then we could spend longer talking about the natural and cultural history of the Southern Highlands. Alas this never came to pass. We didn’t meet again in Utengule until the following June, when I came across him preaching in one of the village drinking clubs. No wonder that the villagers -- many of whom weren’t Christians -- thought that he was something of a character (churchgoers themselves would sometimes gleefully mimic the characteristic way in which he gesticulated with his hands and arms while giving Mass). We spent more time together that day, and among other things he went through the plant names in my shoebox file of Sangu vocabulary, suggesting scientific identifications that I can still read in pencil on the paper slips. The next day, 28 June, was a Sunday, and he gave Mass in the morning and then sped off towards Igurusi and the Tanzam Highway in the afternoon. Although I always wanted to, I didn’t get chance to talk to him again. For some months he was on leave in England, and other priests came to Utengule in his stead. I was back in Cambridge when I heard, more than two years later, that he had died. Mutual friends in Kidugala, Sarah and Christoph Jaeschke, wrote telling me that he’d been killed in an accident in Mbeya on 7 December 1982. Apparently he was overtaking a bus on his pikipiki and didn’t see an oncoming car. Christoph and he had talked about hiking together from Kidugala over the Kipengere Mountains and down to Usangu in the vicinity of Chimala, but like my own dream of spending more time in his good company, this wasn’t to be. I wrote a belated letter of condolences to his brother in Lancaster, and asked if he knew the whereabouts of the detailed notebooks that Father Phil had kept of his hikes and collecting in the Southern Highlands (when he’d shown me one of these I’d implored him to make sure that they ended up one day in a library or archive). In return John Leedal sent me a copy of the booklet – Welcome to Mbeya – that his brother had extensively rewritten and that had been completed and printed by friends after his death. I’ve treasured this for many years, tracing the footsteps of Father Phil whenever I dip into it. 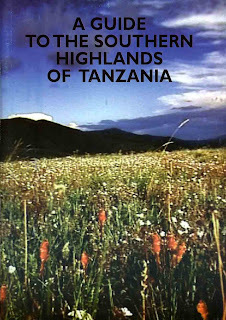 It’s a wonderfully succint guide to the landscape that he loved, more substantial than the article on ‘Places to Visit in Mbeya Region’ that he published in Tanzania Notes and Records in 1981. 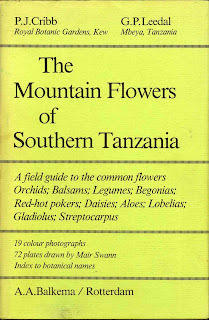 There’s more of the same in the introductory chapter on ‘Highways and Byways of the Southern Highlands’ in the book on The Mountain Flowers of Southern Tanzania (1982) that he co-authored with fellow botanist Phillip Cribb, in this case woven together with references to the plant collecting trips of Mary Richards (cf. Condry 1998). And more recently Welcome to Mbeya has itself been expanded and updated by Liz de Leyser as A Guide to the Southern Highlands of Tanzania, with a dedication to Father Phil. Some of the information from these different texts has since been picked up by the standard tourist guides to Tanzania, and so his knowledge of the region continues to be passed on. 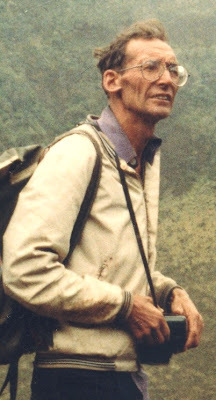 His experience of its plants is, of course, preserved in the collections that he made and the botanical designations of the species that are named after him, and ultimately in the protected areas that now cover parts of this landscape (Kitulo National Park and Mpanga/Kipengere Game Reserve). As for Father Phil’s notebooks, I wrote last week to Phil Cribb, asking if he knew of their whereabouts. There are, he said, assorted notes, maps and sketches in the archives of the Royal Botanic Gardens in Kew. I don’t know whether these include the detailed notes that I saw in Utengule nearly three decades ago. I hope so, because that kind of knowledge is irreplaceable. Geoffrey Philip Leedal was born in 1927 in Shipley, Yorkshire, and studied at the University of Leeds, where he wrote a Ph.D. on the geology of the NW Highlands of Scotland. He subsequently went on geological surveys and expeditions in East Africa, and all of his early publications are in this field. He joined the White Father’s Missionary Society in 1953, and was ordained a priest in 1961 and appointed to Mbeya. He wrote a number of (now hard-to-obtain) booklets on the natural history of the area, and collected more than 7,000 botanical specimens for the herbaria in Nairobi, Dar es Salaam and Kew. For these and other details of his life and work readers are referred to the obituary written by Phillip Cribb in the Kew Bulletin (1984). When Phil Leedal joined Chris Grey-Wilson and myself in the Southern Highlands in 1976 he expounded his plant hunting philosophy. "You will never find new species by walking along tracks in the forest, always walk at right angles to established paths". At that moment he abruptly turned right into the forest and fell down a small cliff. Believe it or not we found a new species of Impatiens, subsequently named Impatiens leedalii, where he landed! He had four orchids named after him: Angraecopsis leedalii, Margelliantha leedalii, Stolzia leedalii and Ypsilopus leedalii, but he discovered many more novelties over the years and became an important source of herbarium material for Kew's work on the Flora of Tropical East Africa. He adds that another plant named after Father Phil was Aloe leedalii S. Carter. Phil Cribb has also kindly sent me this photo of his friend and colleague, taken on Mount Rungwe in 1976. Condry, William 1998. Wildflower Safari: The Life of Mary Richards. Llandysul, Ceredigion: Gomer Press. Cribb, Phillip 1984. Rev. G. Philip Leedal W.F. (1927-1982). Kew Bulletin 39 (1): 156. Cribb, P. J. and G. P. Leedal 1982. 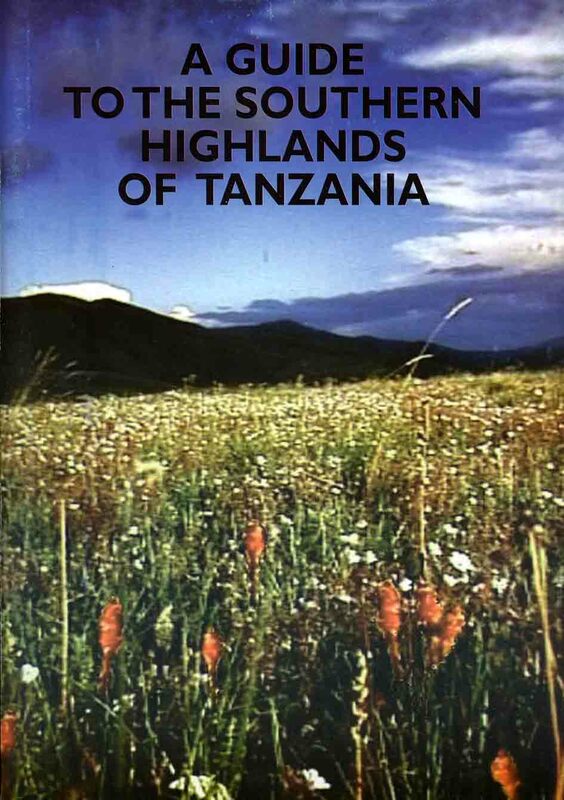 The Mountain Flowers of Southern Tanzania: A Field Guide to the Common Flowers. Rotterdam: A.A.Balkema. Leedal, P. H. [sic] 1981. Places to Visit in Mbeya Region. Tanzania Notes and Records 86-87: 77-81. Leedal, G. P. (and others) 1983. Welcome to Mbeya. (No publication details). de Leyser, Liz (Undated) . A Guide to the Southern Highlands of Tanzania. (No publication details). Lovely to come across this as I grew up in Mbeya and Father Phil was a close family friend. He was partly responsible for my early interest in Geology and the decision to pursue that subject at degree level. 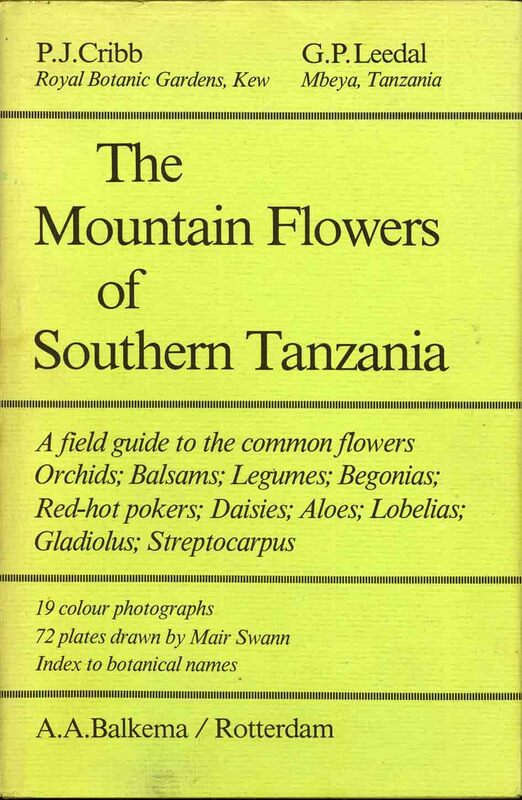 My Mother and also keen botanist, Rachel Nicholson, was a contributor to the Mbeya Guide and arranged its printing. I was responsible for the sketch on the front. (not sure why I got the job!). My sisters and I were often responsible for taking packages back to to posted to Kew when returning to boarding school. As to the fate of his notes and collections, I believe he had left it all to the Uyole Agricultural College. Many thanks for this Stephen, with all that extra information, including your own artistic role! You can't imagine how much that little guide meant to me. Good to know that Father Phil's material went to Uyole. I'm guessing that it was your father who diagnosed and treated me for giardiasis at Mbeya Hospital in 1981, and I quite possibly met your mother when I went to your house for the Queen's Birthday celebration in the same year. Apologies, meanwhile, for the late reply: I haven't been writing the blog for a few years.